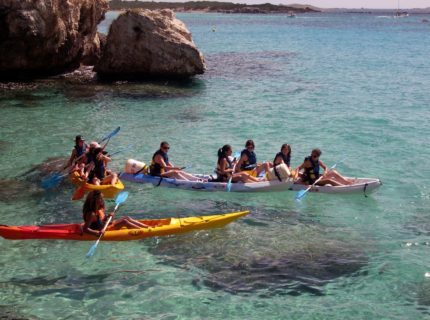 Accueil Discover our most beautiful experiences The second time even more is possible! Goodness, Am I in the Bahamas? Believe me, this is the correct description of the Piantarella beach, simply because this beach is worthy of a Bahamas lagoon. 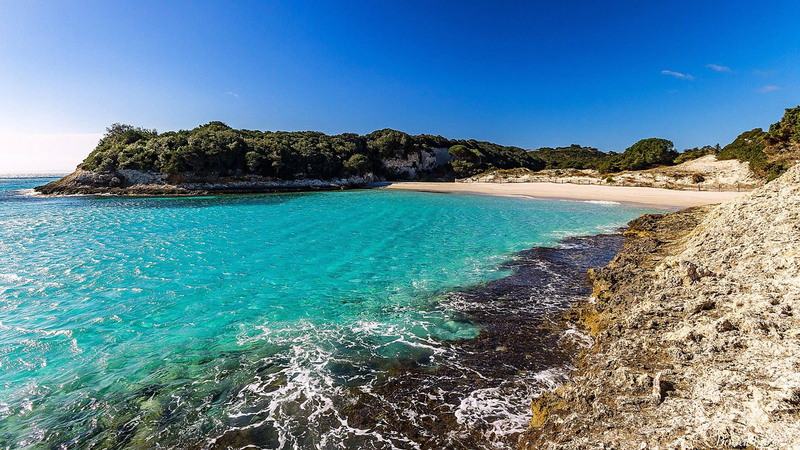 So, follow me and we will discover this famous beach only a few kilometres from Bonifacio. Off we go! The first piece of advice I always give my friends: arrive early, in fact, very early. Not necessarily to find a free parking space, as there are plenty for everyone. No, the real reason being that this beach is situated on the East coast and the sunrise is absolutely sublime, with the archipelago of the Lavezzi islands in the background, making souvenir photos worthy of the most beautiful postcards. 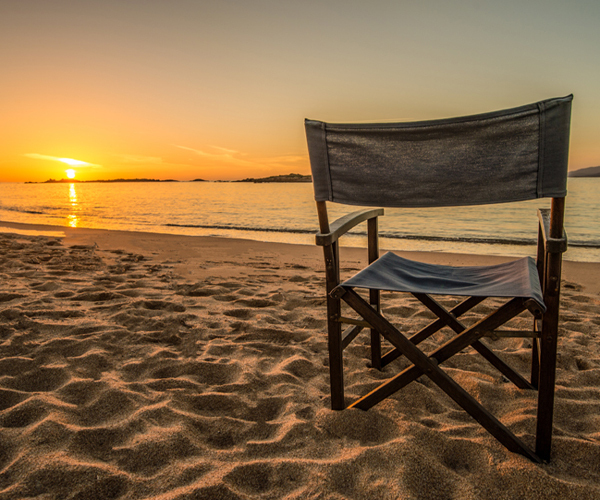 So from daybreak, I set up my photographer’s chair in the centre of the beach thus taking advantage of an extraordinary light. 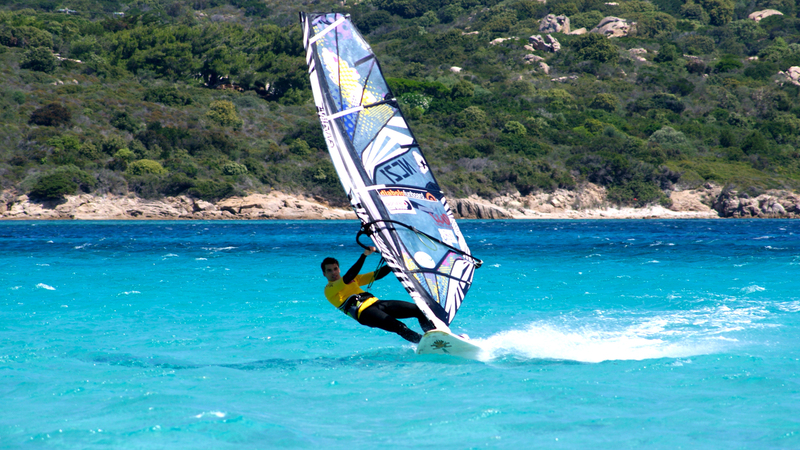 Yes, I take along a comfortable chair, to take advantage of several spectacles throughout the day: fun-board, windsurf, kayak-racing and sumptuous sailing boats … my day will be rich with camera shots. The first artists are already arriving. 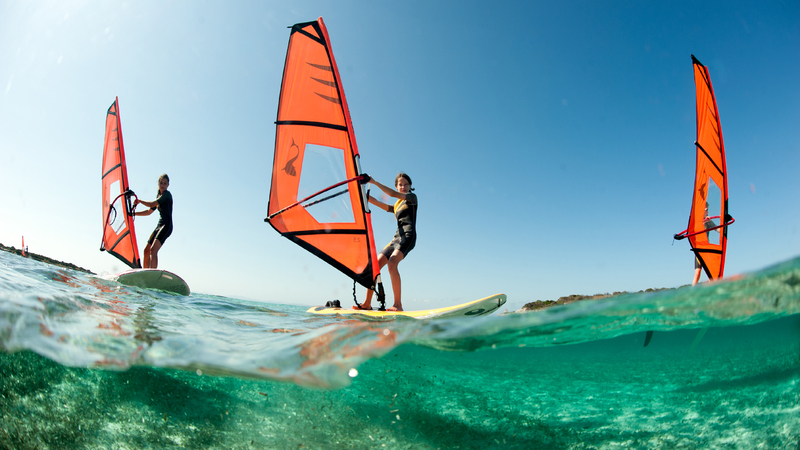 They are fun-boarders, crazy about speed, flips and somersaults, taking advantage that the lagoon is still fairly empty so that they can launch their board at full speed and undertake a variety of acrobatic figures. My camera is set on “s” for speed; I capture the scenes with frenzy. Once this first show is over, I think it is time for a small walk. As there is much to be seen and even rave about only a few meters away: behind the beach is a freshwater lake, a mini nature reserve where I can shoot several rare bird species. And indeed, they are present. I shoot a couple of wild ducks and a pretty egret, as white as snow. I continue my short walk a little further, another ten minutes to the Petit Sperone beach. With a little luck, early in the morning, maybe I will see some dolphins … well, not this time. I was unlucky today they were not around. There is no one on the beach yet, the light is perfect and the photo is superb. Pure nature! I get undressed and run into this calm, limpid and warm sea. So like the Bahamas, as I said. But time flies by quickly, I need to return to the lagoon. 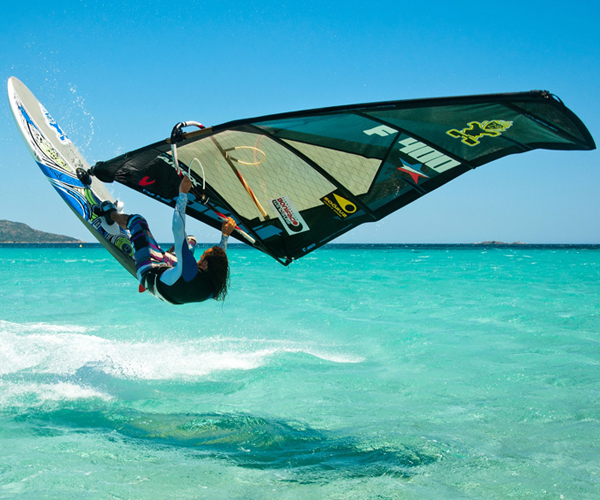 I am sure it is more animated now and I don’t want to miss the amusing and photogenic show of the young taking their windsurf lessons. Once I am back near my chair, I can see I was right: kayaks have taken to the beach and the orange sails are blowing in the wind on the lagoon. I place my camera in its waterproof casing and decide to enter the sea up to my waist. I can therefore take “half-water, half-air” images, which are always appealing: like a submarine with its periscope. Love it! I love it so much; I will spend a good part of the morning here. 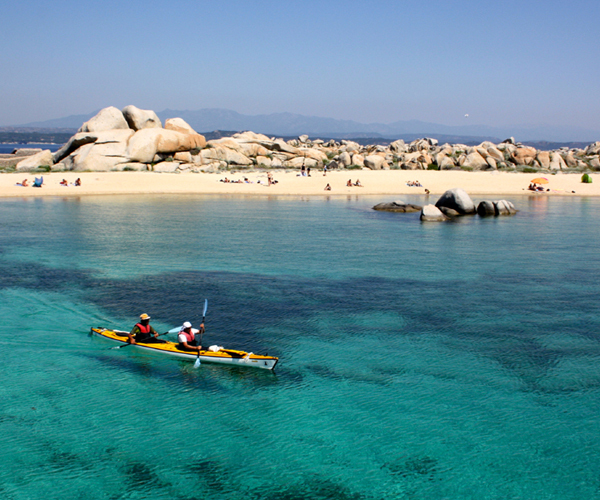 And this afternoon, I will take a kayak to the Lavezzi Islands. It’s very “sea, sun & fun” and I will need to muster all my energy as I have to circumnavigate the Island of Cavallo to arrive at the most beautiful island of all: the Lavezzu Island. I will recharge my energy at Momo’s beach bar, at the entry of Piantarella beach, with a Corsican cured ham sandwich and a glass of white wine. And all this at the Piantarella beach and not the Bahamas!